A deep analysis of a curious & possibly not age-appropriate fascination. I am typically a responsible, forty-four year old woman with a fantastic husband and a wonderful kindergarten-aged son. But each summer, I enjoy watching the show Big Brother, and I have recently become intrigued by one of Big Brother 16’s contestants, Zach Rance. I periodically check his tweets and I follow him on Instagram. I’ve also recently subscribed to his fledgling YouTube channel. In addition, I happened to notice the #Zankieween tweets on Halloween, and I stayed up late into the wee hours to read the tweets and see the pictures and videos of Zach with his friend, Frankie Grande, at a Halloween party. I enjoyed seeing them be each other for Halloween, watching them dance together, and enjoyed seeing the salacious selfie of Frankie with Zach biting his ear. For those who do not watch Big Brother, I’ll need to tell you the “Zankie” story. 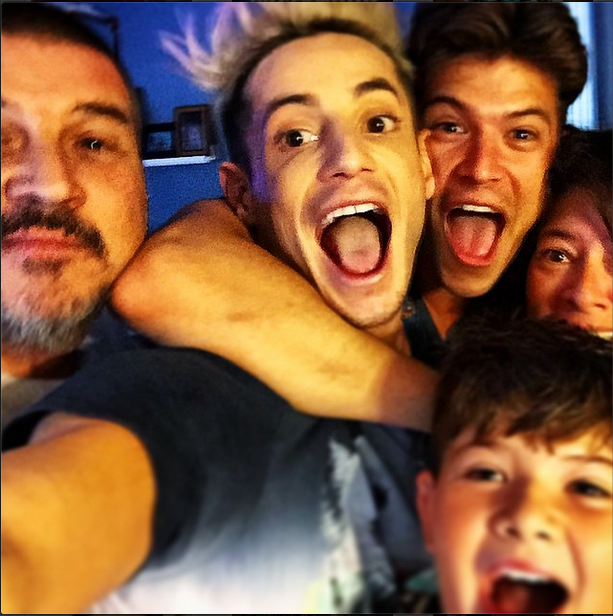 Zankie is a combination of the names “Zach” and “Frankie,” Zach met Frankie, an openly gay man, in the Big Brother house. They pretty much instantly became great friends (called a “Bromance” on Big Brother), and possibly something more in the romantic sense. Zach says that Frankie is one of the funniest and smartest people he knows, and those are the most important qualities to him in other people. They were more than typically physically affectionate for two guys while together in the BB House, often hugging and cuddling each other. But, Zach, in a few of the serious interviews I’ve read online, professes that he is straight and that Frankie is just his best friend. But his words, actions and reactions to Frankie in the Big Brother House, and after leaving, seem to go contrary to that of a straight man. And there are still a bunch of Big Brother fans that are hoping that the relationship develops into something more. This was the main fuel for the trending of #Zankieween on October 31, 2014. I genuinely like Zach’s personality. He is energetic, funny and clever. Even though he is highly sarcastic, I still can sense that he is a good-hearted person. I have not seen a boring interview of Zach Rance yet. He just doesn’t take himself, life or other people too seriously, which is a quality I admire. He also seems to have a supporting and loving relationship with his younger brother and the rest of his family. Moms love this. But most importantly, I am impressed with his bravery. He is not afraid to openly express his feelings and emotions, at least some of the time. I think this is what got me hooked. He professed to Frankie that he was in love with him on the show, and he knew that thousands of people could see the footage. He wasn’t afraid to be physically close with Frankie on the show with everyone watching. He is also, evident after #Zankieween, still friends and physically close with Frankie even though it may go against the theory that he is straight. I wish I were as brave as Zach, and I desire to be more open expressing myself and my thoughts, emotions and feelings. Irregardless of my temporary state of teen-aged-like obsession, it doesn’t really matter to me whether or not Zach has romantic feelings for Frankie. There is a true love that exists between the two of them. Whether it is romantic or platonic – it truly doesn’t matter to me. Love is so much bigger than those limiting ideas. And in the end, what is more important than rooting for love?